I try to eat a low carb/ keto diet as often as possible. 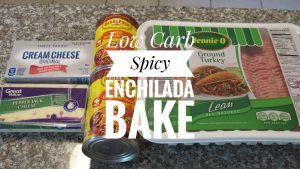 I originally found a similar enchilada bake recipe on Pinterest a while back but it wasn’t quite spicy enough. I tweaked this receipt to include a bit more spice while still keeping it low carb. When I first started adjusting this recipe, I used some delicious Sriracha Cheese from Yoder’s Meat & Cheese in Shipshewana, Indiana. They have the BEST cheese and it is totally worth the drive. If you aren’t able to get to Shipshewana this recipe should work well with any type of spicy cheese and even regular cheese if you don’t want the spice. 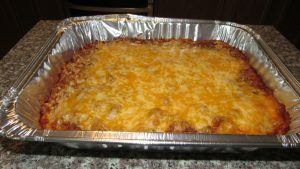 When I went to Walmart this weekend to pick up supplies for this recipe I was unable to find any Sriracha Cheese or even any Hot Pepper Cheese but the Pepper Jack Cheese added a nice spice to the dish. The next time I make this I will be looking at some other local stores and see if I can find a different spicy cheese to use. Cook for 30 – 35 minutes or until lightly brown. While the “crust” is cooking brown your meat. In another bowl, mix the enchilada sauce, cooked meat and 4oz of the shredded cheese for the filling. Once the crust is done let it cool for 10 mins before putting the filling in. Sprinkle the remaining shredded cheese over the top and cook at 350 degrees for 20 -25 minutes or until cheese browns. 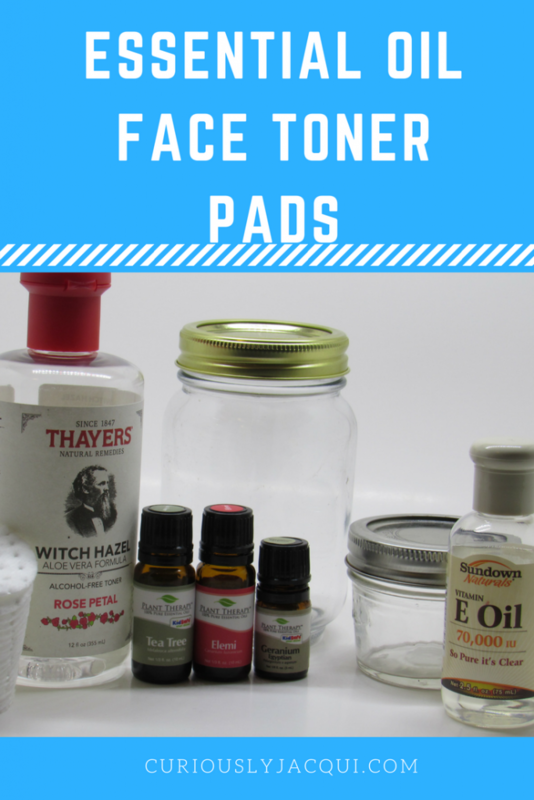 Since diving into essential oils I have been trying to find the best synergy of essential oils for my face toner. I love using witch hazel but thought that some different essential oils might be a beneficial addition. I wanted to create a balance between keeping the bacteria out of my pores but also not drying out my face. I think I found a pretty good combination. Why These Ingredients & Essential Oils? Witch Hazel – Witch Hazel is a natural astringent that can help minimize pores, reduce inflammation, decrease oil and leaves skin feeling clean. Elemi Essential Oil – This oil is often called the poor man’s Frankincense. 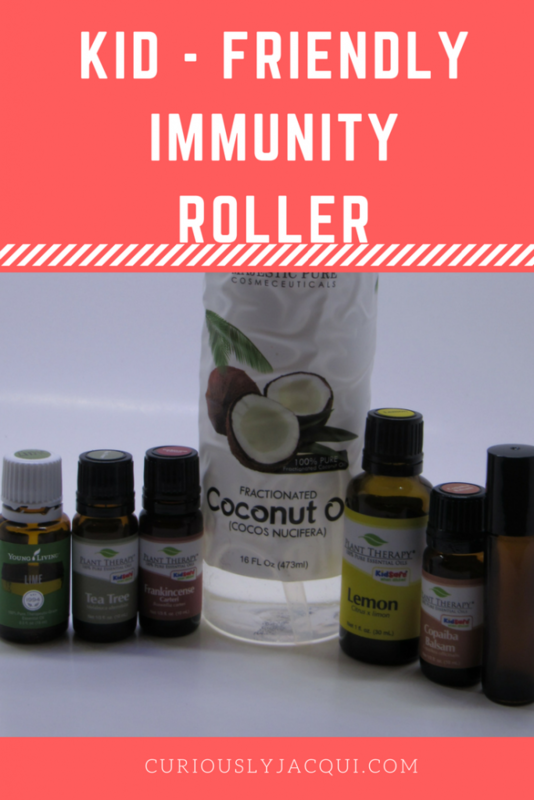 This oil helps to pull out much more bacteria and make-up even after washing my face. 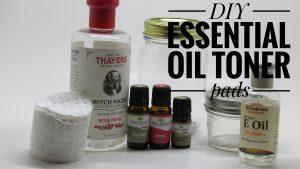 First, in the 16oz mason jar mix your 4oz of Witch Hazel, Vitamin E, and drops of essential oil. Next, place the lid on the mason jar and shake it up. Make sure to shake this up really good so the oils are dispersed evenly in the mixture. Then, place your cotton rounds into the smaller mason jar. Now, pour some of your witch hazel mixture over the top of the cotton rounds. Then, use your fingers to push down the cotton pads to help evenly distribute the mixture. Keeping using this pattern until you feel that the cotton rounds have absorbed the mixture and seal up the mason jar until you are ready to use. Finally, if you still have extra of the witch hazel mixture but sure to put the lid back on the mason jar and save for later. Be sure to use a Roller ball bottle with a stainless steel roller ball since this recipe calls for lemon and lime. Citrus oils can disintegrate plastic and plastic can leach into the mixture. 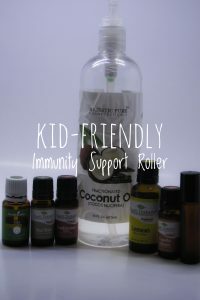 First, mix together the essential oils in your roller bottle. Be sure to shake the bottle well before each use to emulsify the oils. I have been using some type of oil blend on my face for a couple years now. Most recently I was using the Beauty Sleep Serum from an awesome Natural Beauty Company called Root Pretty. 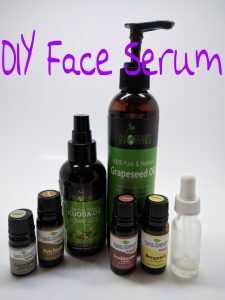 I decided that I would try to make my own recipe and see how different essential oils work with my face. I came up with a mixture with jojoba oil, grapeseed oil, Patchouli Essential Oil, Bergamot Essential Oil, Geranium Essential Oil and Frankincense Carteri essential oil. • Jojoba Oil is a noncomedogenic oil which means that it shouldn’t clog your pores and can work as a protectant and cleanser for your face instead of just sitting on top of it. Jojoba helps to moisturize and even helps to fight harmful bacteria growth that leads to breakouts. It can also soothe fine lines, wrinkles and might even slow down skin aging. • Grapeseed oil is easily absorbed, gentle on the skin, and could even help reduce clogged pores. 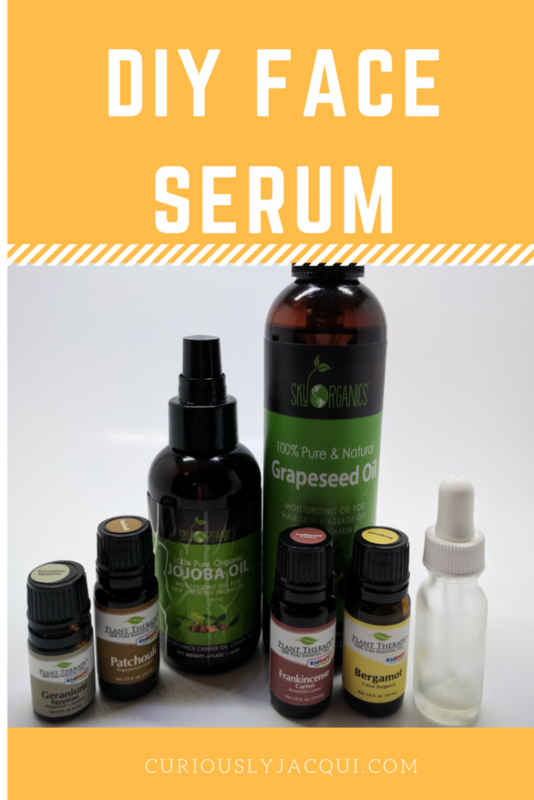 This oil is lighter than jojoba oil and has a large amount of Vitamin E. Grapeseed oil can reduce the appearance of age spots, wrinkles and stretch marks. • Patchouli Essential Oil can sooth inflammation of the skin and promotes a smooth, glowing complexion. It can also help reduce the appearance of wrinkles, scars, and stretch marks. • Bergamot Essential Oil can help to reduce the appearance of marks or scars on the skin and is commonly used to reduce the unsightly effects of acne. When using bergamot oil topically be sure to look for a bergapten free Bergamot. Bergapten is what makes citrus oils phototoxic, so I would recommend avoiding bergamot in this blend unless the oil is bergapten free. • Geranium Essential Oil can treat acne, dermatitis, and skin diseases. It can also help with wrinkles and scars and also smells amazing. • Frankincense Carteri can be used to rejuvenate the look of mature skin and scars. It can also provide moisture to dry skin and reduce inflammation. Place the Patchouli, Bergamot, Geranium, Frankincense Cartieri, grapeseed oil and jojoba oil into your glass bottle. Use on face in the morning and evening after cleansing your face. I have been using this mixture for a few weeks now and absolutely love it. My face feels so smooth I don’t have many red patches on my face. I also love putting this on right before I put my make-up on in the morning, it really helps to keep my make-up on all day and keeps my face nice and smooth.